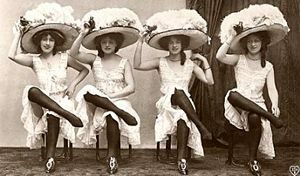 Burlesque shows were precursors to vaudeville. Vaudeville was the precursor to the American musical. Burlesque is the “grandfather” of the American musical! Since the birth of motion pictures, Hollywood has been the destination for those with dreams of making it. Once home to some of the greatest burlesque houses and nightclubs in the world — Largo, Slapsy Maxie’s, The Majestic, The Burbank Theater, Ciro’s (where Lili St. Cyr was arrested for performing her bathtub number), Earl Carroll Theater, The Orpheum, and The Follies — against the backdrop of this entertainment mecca, the Hollywood Burlesque Festival celebrates the glamorous yesterday and exciting today of burlesque. The action takes place at the The Mayflower Club, 11110 Victory Blvd, North Hollywood, CA 91606 and the 3Clubs, 1123 Vine Street, Los Angeles, CA 90038. The 2019 Hollywood Burlesque Festival presents four nights of showcases, competitions, classes and film screenings.